The Committee was briefed by the Department of Trade and Industry (DTI) on the Southern African Development Community (SADC) and European Union (EU) Economic Partnership Agreement (EPA). The Department’s approach to trade negotiations was informed by support for the national development objectives set out in National Development Plan, the New Growth Path and the Industrial Policy Action Plan. The aim was to provide opportunities to increase exports of value-added products, as well as to support regional integration. The EU remained the biggest trading partner of South Africa, with total trade having grown by 257% since the implementation of the agreement in 2000. The Economic Partnership Agreement negotiations between the EU and various groupings of the African, Caribbean and Pacific (ACP) countries had started in 2002. Its purpose had been to replace the unilateral trade regimes that existed between the EU and ACP countries under the Cotonou Agreement. SA, along with some SADC countries, had negotiated the agreements under the EU-SADC EPA configuration. SA’s core interest was to harmonise the trading regime between SACU and the EU, and to secure market access in agriculture beyond that which was provided by the TDCA, and to gain back the policy space it had lost under the TDCA. The EPA negotiations had concluded, and each member state was currently busy with their internal ratification. In order for the agreement to come into force, each SADC EPA country would have to ratify it. The aim was for the agreement to enter into force before the expiry of the European Commission (EC) Duty-free Quota Free Market Access regulation on 1 October 2016, to guarantee preferential market access into the EU for Botswana, Namibia and Swaziland, failing which they would lose their preferential market access if not ratified before then. Of concern to Members were the implications of Brexit on SA, as the UK was SA’s biggest trading partner. Ms Niki Kruger, Chief Director: Trade Negotiations, DTI, said that the approach to trade and negotiations was informed by support for the national development objectives set out in the National Development Plan, New Growth Plan and the Industrial Policy Action Plan. The trade negotiations should provide opportunities for an increase in exports of value added products, and policy space should not be unduly restricted. The support of regional integration was the purpose. The Trade Development and Cooperation Agreement (TDCA) had been governing trade relations between SA and the European Union (EU). The TDCA had been signed on 11 October 1999, and was implemented over a period of 12 years from 2000-2012. It was the first comprehensive trade agreement SA completed with a developed country. According to the tariff schedule, SA committed to grant duty free access to 86% of EU imports over a 12-year period, while the EU freed 85% of SA’s imports over ten years. The sensitive sectors in SA, such as clothing and textiles, were afforded protection. However, the TDCA had limited SA’s policy space in a number of areas, and that was a concern. Another concern was the uneven market access in the agriculture sector, which had seen SA liberalise more tariffs than the EU. Despite some concerns, the EU remained SA’s main trading partner, with a total increase of 43% in trade, from R374 billion in 2011, to R536 billion in 2015. The SA exports and imports with the EU had an annual growth of 9% during the 2011 to 2015 period, with exports to the EU rising from R151 billion in 2011 to R216 billion in 2015. The agreement had had a positive impact on total trade since its implementation in 2000, with overall growth standing at 257%. SA exports mostly primary goods, but the top exports in 2015 were motor cars and motor vehicles, for contributing 21% of SA’s exports to the EU. The increase in the export of manufactured goods was a positive change for SA. An increase in market access for agricultural products had lead to grapes, citrus and wine being among the top SA exports to the EU. The Economic Partnership Agreement (EPA) negotiations had started on 27 November 2002 between the EU and various groupings of the African, Caribbean and Pacific (ACP) countries. Initially there were unilateral trade regimes between the EU and the ACP countries under the Cotonou Partnership Agreement (CPA), and the EPA was negotiated to replace these regimes. Angola, Botswana, Lesotho, Mozambique, Namibia, South Africa and Swaziland negotiated the EPAs under the EU-Southern African Development Community (SADC) EPA configuration. Because SA had existing bilateral trade relations with the EU, its active participation in the SADC-EU EPA configuration was endorsed only in early 2007. SA had been mainly interested in harmonising the trading regime between the Southern African Customs Union (SACU) and the EU. It wanted to secure further market access in agriculture beyond what the TDCA provided, and gain back the policy space which it had lost under the TDCA. An implication of the EPA was that it would ensure that the SACU common external tariffs were maintained through the uniform trade regime agreed under the EPA. Through the negotiations, SA also had the opportunity to address shortfalls. For example, SA had liberalised more lines under the TDCA in comparison to the EU in the agricultural sector. SA had been able to improve its market access under the EPAs and gained new duty free access for sugar and ethanol. Both these products had high duty fees which had prevented SA from exporting them. The SADC-EU EPA made provisions for a bilateral protocol between SA and the EU on the protection of geographical indications and on trade in wine and spirits. The issue of protection of SA’s wines’ names exported to the EU, and vice-versa, as well as the protection of agricultural products such as Rooibos tea, Karoo lamb and Honeybush tea, were addressed in the protocol. The protocol also provided for the co-existence of names and therefore ensured that current South African users of specific names like “Feta” would be able to continue to use the name, but new users would fall under different rules. In terms of the EPA negotiation milestones, the negotiations had been concluded. On 15 July 2014, the EPA had been initialled, and on 23 October 2015 the EPA legal scrubbing was concluded. On 20 June 2016, the EPA had been signed and after it has been ratified, it would be implemented. Regarding the way forward, if agreed, member states can provisionally apply. However, SADC would have to ratify in order to provisionally apply. The EU could provisionally apply the Agreement while it was being ratified by all the EU countries, subject to approval by the EU Parliament. In order for the Agreement to enter into force, the SADC EPA countries would have to ratify it, and the aim was for it to come into force on 1 October 2016 before the expiration of the European Commission (EC) Duty-free Quota Market Access regulation, otherwise Namibia, Botswana and Swaziland would lose their guaranteed preferential market access if not ratified before then. The Chairperson asked for clarification asked what Ms Kruger meant when talking about textiles, and whether one would be able to import the actual material used. Ms Kruger responded that one would be able to import the actual material used to manufacture a clothing product or textiles in SA, and could then export them to the EU. The Chairperson asked for clarification on the further processes involved, where SA was in terms of the ratification, how many countries were in the loop, and whether they were mainly outside Africa or in Africa. Ms Kruger responded that South Africa was the first country to sign a comprehensive economic partnership agreement. All the SADC countries except Angola had signed the full EPA on 10 June 2016. SA, Namibia, Swaziland, Mozambique, Botswana and Namibia were going through the internal ratification processes. After ratification, SA had to submit its instrument of ratification with the EU, and that was the depositry. The EU would submit their instrument for provisional application to the depositry. With the last depository, after ten days, the agreement would provisionally come into force. Full implementation would take place after the last ratification had been done by the European countries. Mr N Koornhof (ANC) said that his concern was Brexit, as SA was the largest trading partner with UK in Africa. He asked when this agreement would become null and void. What plans did SA have to make to enter into similar agreement with the UK, as it was an important trading partner? Ms Kruger responded that there had been a number of engagements with the UK High Commissioner in South Africa and other relevant stakeholders on the implications of Brexit and what it meant for SA. The UK had not taken a decision and had not submitted their Article 50 notification to EU, and it was not sure when this would happen. While these negotiations took place, all their obligations in terms of the EU would stay in place. The UK did not yet know what the terms of their exit from EU were, and how that would influence their trade agreements. SA had already indicated they would like to put something in place if the UK would like to exit the agreements EU had with them. The UK could not start negotiations until they had submitted their notification to the EU. She knew they were also the biggest trading partner in terms of the SACU. The Treasury was also having discussions in regard to investments and banks. Mr G Hill-Lewis (DA) said that this agreement sounded much better than the TDCA, especially the increase in the wine exports which had almost doubled, and he hoped that this would also benefit the farm workers. Ms Kruger agreed with Mr Lewis on the importance of the wine quota. She said SA was already exporting more and hoped that that filtered through to the farm workers. Mr D Macpherson (DA) understood that SA would clearly be affected by Brexit and single market access. He was concerned by the Minister’s statement in June, saying it would not be a problem for now. Looking at the media, it was known that the UK was looking at a two-year exit, but the EU was pushing hard for the UK to leave as soon as possible. He asked that a time frame be provided that had been developed to start the negotiating process with Britain, as negotiations on trade agreements took time. He also wanted to know why SA was not part of a services agreement, and asked Ms Kruger to take him through the rationale for that decision. Lastly, he asked where SA was on the Zimbabwe blockade, what was being done to ensure that it did not happen again and did not affect the country’s SADC trade agreements. Ms Kruger responded that SA did not have services agreements, and had started negotiations in SADC. SA would first negotiate for a continental free trade agreement and once there was a framework, consider negotiating with other countries. She was unable to provide further information on the Zimbabwe blockade situation. 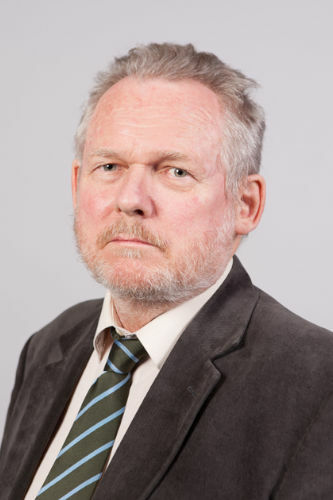 Mr J Esterhuizen (IFP) also commented on the Brexit/UK matter, saying that Britain received 20% of all SA goods, and this might affect trade relations if there was anything negative. SA had a new Protection of Investment Act which would protect foreign investments. How would Brexit influence financial investments in terms of the British banks? Ms Kruger responded that in terms of the EPA and geographical indications, only the producers of those products from those exporting regions would be able to use those names. Mr B Mkongi (ANC) mentioned the new generation issues. These included services, government procurement and competition, and he asked if SA was considering those negotiations going forward, especially as it was discussing public procurement and what the World Trade Organisation laws were saying about the private sector. What kind of approach was SA going to take now, because most of these negotiations were in the ambit of the EU? He also added his concerns around Brexit and its implications, and said that SA officials should be drafting new agreements and new engagements with the EU and Great Britain to find out what the implications were. He asked if the agreements, especially the TDCA, were not closing SA’s policy. He stressed that most of the World Trade Organisation agreements with SA had closed down its policy space, so what were the implications, especially with the TDCA, going forward? Lastly, he wanted to know about the 32 agricultural products that SA would receive market access into the EU, and whether SA was competitive in these products and had the capacity to take advantage. Ms Kruger said that in terms of the new generation rights, SA had agreed to cooperate with the EU in terms of issues surrounding intellectual property, competition and public procurement. They were not considering discussing those issues, and SA was still negotiating its policy frameworks. SA had the productive market capacity to make use of this new market access and because it was a huge exporter of fish, that was therefore a huge advantage. The focus was on higher value products. The Chairperson said Article 1.1.3, 24.2 and 25.1, dealing with market entry coming into force, also referred to the exclusion of the EU agricultural market concessions, and asked whether this was actually a chain on the door, when it looked like SA had an open door policy. Ms Kruger said the first condition was the deposit of instruments. and the second condition was that for new market access to be provided for agricultural products to enter into force, SA must notify the EU that it was protecting their Geographical Indications (GIs), and vice versa. Once SA notified the EU that it was protecting their GIs, the new market access that EU was giving to SA would enter into force on 1 October. The Chairperson was concerned that SA always went in transparently and openly, and too often in the past it had burnt its fingers in that manner because other countries in the trading block had not kept their word. She added that once SA deposits, it could not get it back. SA was eager to join, thinking other countries would be as transparent. Was SA going to jump in with both feet -- and hope for a life belt? Mr Mkongi referred to a paper written in June 2007 by Peter Draper, a critic of EU negotiation stances ‘playing hubs into Africa’s spokes,’ in which he argued that space was still not open today and this matter was not getting prominence. He asked if this was what SA wanted to get into? Ms Kruger responded that a number of top exports were primary goods. SA had a more diverse basket of products that were exported, and was already moving into exporting more value-added products. She agreed that it was a huge problem, and had addressed this with the EU. Mr Macpherson wanted to get further clarity on the services negotiations, and asked why SA was not negotiating services agreements on a continental basis and with Europe. Was SA doing it because there was a lack of capacity, or was there a specific reason that it was embarking on a continental negotiation first? Ms Kruger responded that one of the issues was capacity. It was a complex process which took a lot of time, and at the moment the focus was on Africa. SA was in close contact with its colleagues in the EU and would be having a meeting as SADC in early September to talk about implementation and to check the progress on the ratification. The Committee unanimously moved the adoption of the EPA Agreement and for recommendation to the House. The minutes dated 16 August 2016 were adopted as amended. Invitations had been received for the New Partnership for Africa’s Development (NEPAD) meeting on Monday 5 September at Emperor’s Palace in Kempton Park, the 34th Havana Trade Fair from 31 October to 4 November, and the International Astronautical Congress from 26 to 30 September.